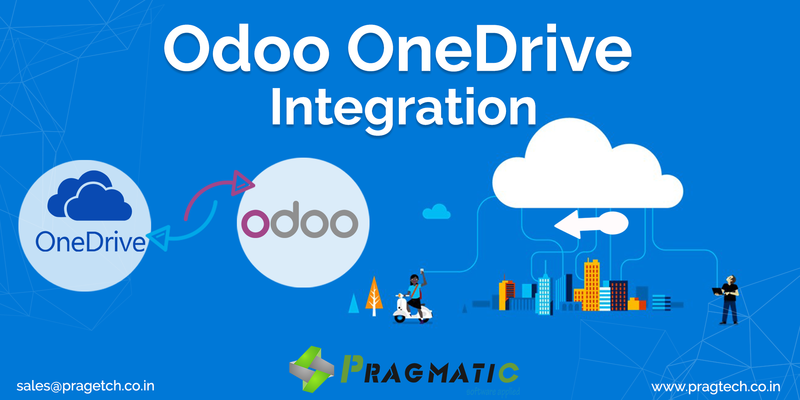 Pragmatic has developed new module to sync data between OneDrive and Odoo. Now user can keep the data either on both the locations or over the one drive only. With this feature user can manage the database and keep it clean. Automatic Synchronization: Files synchronized automatically between OneDrive and Odoo. No manual intervention is required. Two-ways Synchronization: In this module synchronization is bilateral. 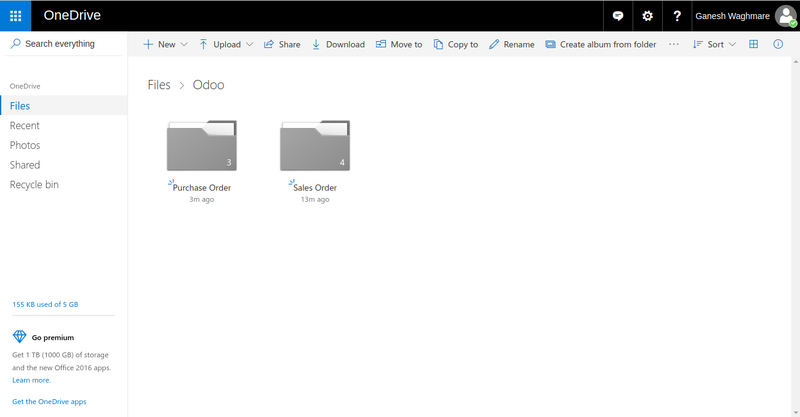 Files which are placed over OneDrive can be easily accessible through Odoo. 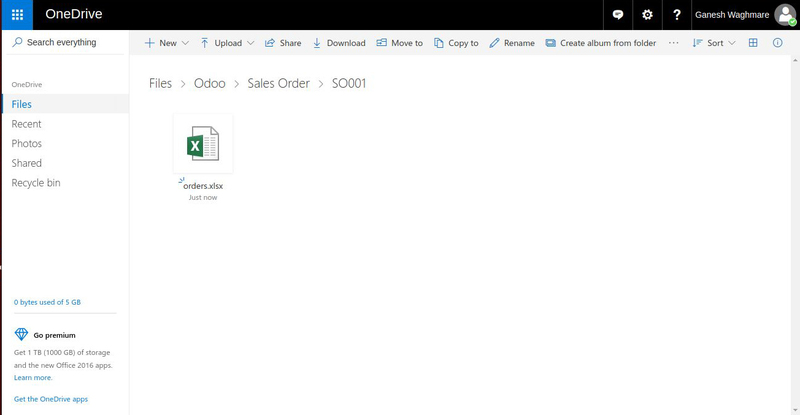 Similarly once the attachment is placed over Odoo, it will sync the data and data is available over OneDrive. File Support: Synced attachment in Odoo opens via URL to OneDrive file. Preview of these documents depends on OneDrive configurations. For instance, if user is using Office 365, the files will be opened immediately using Word or Excel. Systematic Folder: OneDrive is used for business and sharepoint purpose. The files are kept systematically and create a convenient system in the cloud. Path over OneDrive would be: Files -> Odoo -> App name -> Object’s name -> Document. For example, “Files / Odoo / Sales Order / SO0001 / orders.xlsx”. 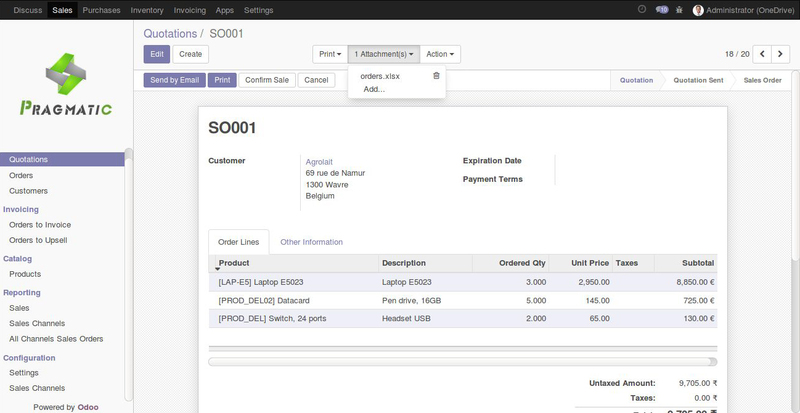 Availability: This feature is available for Quotation, Sales Orders and Purchase Orders of Odoo. Scheduled Actions: User can define the time interval for this scheduler to run to sync the data between the OneDrive and Odoo. Delete Action: If user removes the attachment from Odoo, it will automatically delete the same attachment from OneDrive. Go to the OneDrive Application page and sign in with your account. Add new Application: specify a name and create an application. Add new Web platform and allow implicit flow. The Redirect URL is your Odoo’s instance URL with ‘/get_onedrive_token’ in the end. Generate new password and use it for Secret Key. User should copy both App Client ID and App Secret. Put the Client Id and Secret Key into OneDrive Settings. By clicking on the button ‘Login and Confirm‘ for first time, it will be offered to authorize the user whose cloud will be synchronized. After successful authorization, both buttons will appear ‘Upload to OneDrive’ and ‘Download from OneDrive’.